I made this Patriotic Miss You Card for Operation Write Home's Virtual Card Making Party this weekend during National Scrapbook Day. They had multiple challenges and this card is for Challenge #1. 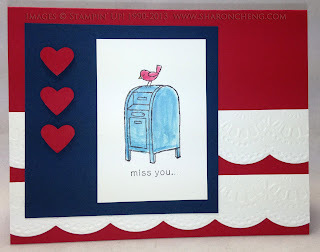 The challenge was to make a Missing You card and I was in the mood to make this one in red, white and blue. 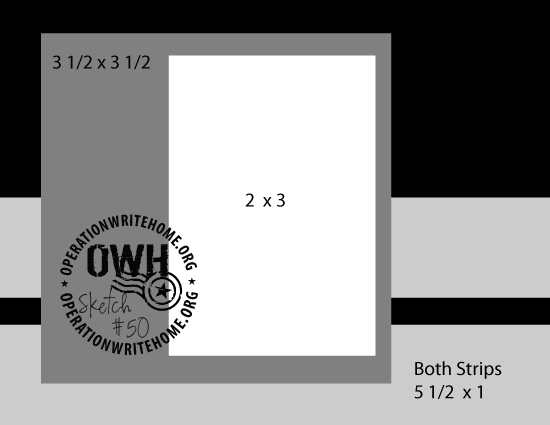 OWH's Sketch #50 was the inspiration for this card. Because I wanted to use the bird on the mailbox image, I looked through OWH's card sketches until I found this one. The OWH card sketches are easy to use because they have the dimensions for each piece. While you can change them to fit your card, it's nice to have a place to start. Stampin' Up! 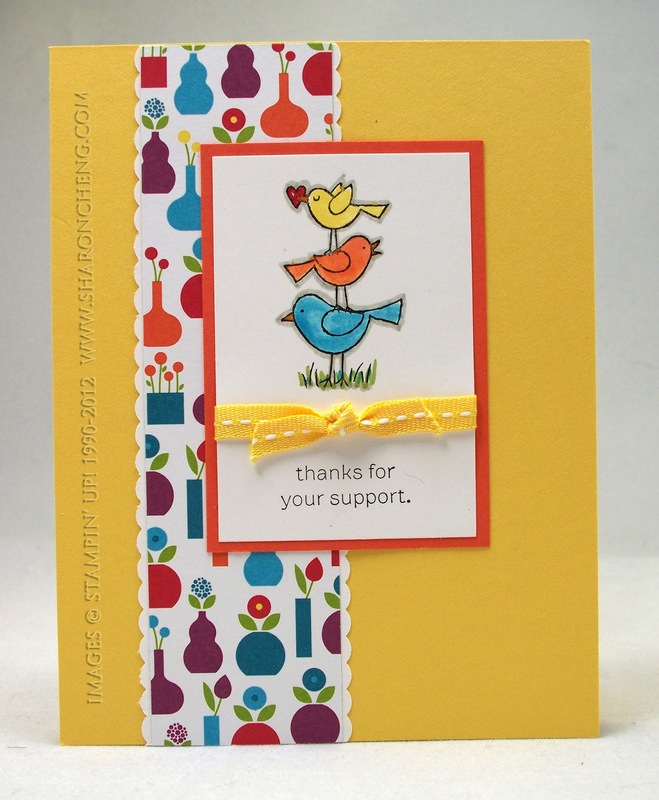 's For the Birds stamp set (126407 $24.95) was perfect for making this Missing You card. I love all of the images in this stamp set. 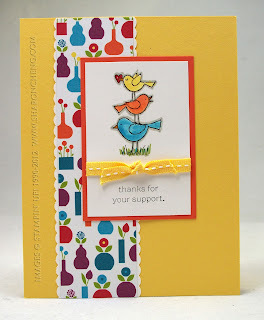 Here is another card that I made using the For the Birds Stamp set. I cut the sentiment apart from the image so that I would have room to add the ribbon. Operation Write Home is a great way to get your creativity flowing while making cards for our heroes overseas. Our heroes are giving their best for our country and deserve the best handmade cards to send to their loved ones.